The Programmable Real-Time Unit (PRU) is a small processor that is tightly integrated with an IO subsystem, offering low-latency control of IO pins on TI’s SoC devices including the AM335x, AM437x, and AM57x Sitara Processors. The PRU is customer-programmable and can be used to implement simple and flexible control functions, peripherals, and state machines that directly access IO pins of the device, as well as can communicate with the application cores. 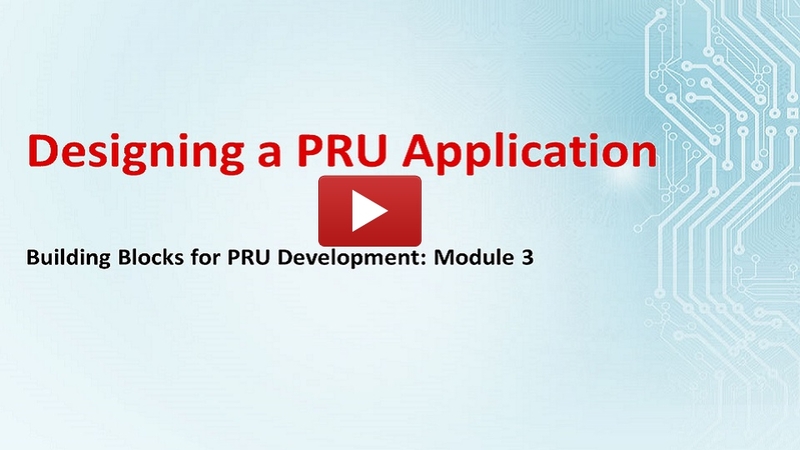 This session provides an overview of the PRU application design process, from application definition and system flow planning to how to architect firmware and estimate timing/cycle requirements. An example application is used to illustrate the decision-making process throughout the lesson.